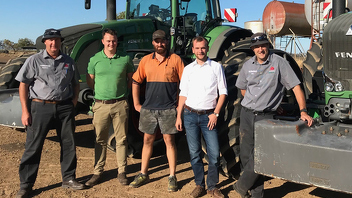 Matthew Cronk B&B machinery, Donny Cloney Fendt ANZ, Tom Gooding, Christian Jungclaus Fendt Global, Kris Black B&B machinery. Tom Gooding along with his father Dave and brother Luke run a mixed enterprise farm west of Dalby. They grow a diverse range of crops from cotton, sorghum, mung beans, chickpeas, barley and wheat over 3,500 acres. to grow their wide range of crops. 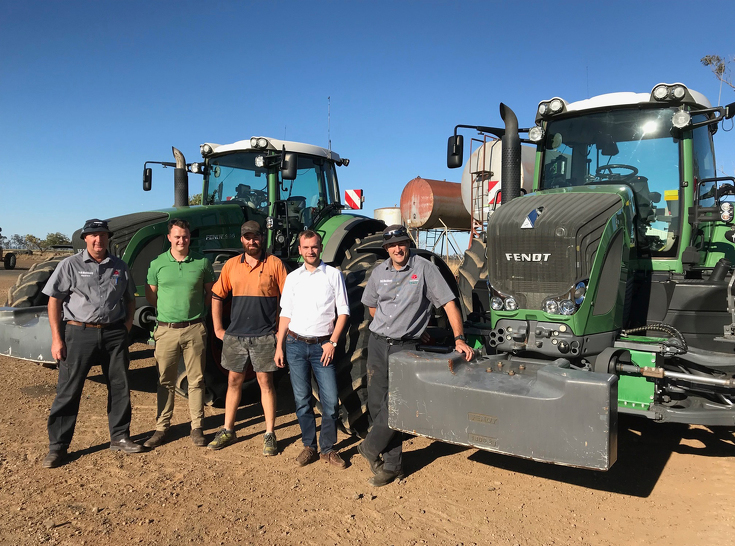 One of the key features which has impressed Tom is fuel economy, Tom says "planting is one of the most important jobs on any cropping farm, and when using our 8 row 60" Maximerge planter for cotton I have been able to get our fuel averages below 12L\hr. With any of our previous tractors it was a struggle to get below 23 – 24 l/hr." Tom's trusty companion gets in on the act. The Fendt 900 series has the patented Vario transmission, now in 250,000 Fendt tractors all over the world. Fendt manufacture and assemble this transmission in Bavaria, Germany and have full control over the quality of components and workmanship that goes into the Vario transmission. Tom says, “I have tried many different step-less tractors but nothing comes close to the Fendt engine and transmission control and getting the power to the ground. 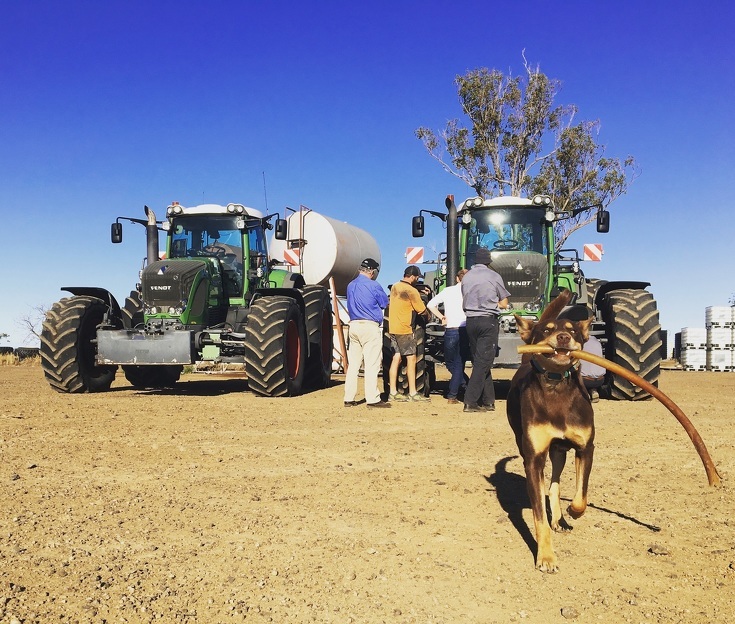 ” The Fendt transmission is completely step-less in the field so no break in traction or loss of power occurs in heavy work. The independent front axle suspension also benefits traction as it ensures that the front wheels are in full contact with the ground on all terrain.